In 2018, Americans received $16 billion plus worth of cosmetic plastic surgery and minimally invasive treatments. Cosmetic treatments are on the rise and among the most popular procedures are dermal fillers. But which dermal fillers are the most effective? Radiesse is an anti-aging filler that’s used to plump and volumize your skin. Before getting Radiesse filler, you should understand what it’s best for and what the treatment entails. We have those details and more below. Keep reading to find out everything you need to know about Radiesse. As we age, our body produces less collagen. In fact, after age 20, our body produces 1% less collagen every year. At the same time, we lose the ability to retain moisture and elastin production decreases. As a result, fine lines and wrinkles begin to form. Skin also begins to sag as it loses water and elasticity. Radiesse is a minimally invasive cosmetic skin procedure. It involves injecting filler into specific areas of the face. Typically used in the lower and mid-section of the face, Radiesse gives your skin volume again – and it does so without looking like you’ve had a procedure done. Radiesse is particularly useful in the mid & lower face areas. It can also be used on hands that have visible signs of aging. The safe and easy treatment can help with creases in the corner of the mouth, the volume of your cheeks, and sagging jaw lines. It can reduce the appearance of jowls, strengthen weak chins, and fix nasolabial folds. Radiesse is also a treatment option for people with aged skin on the back of their hands. 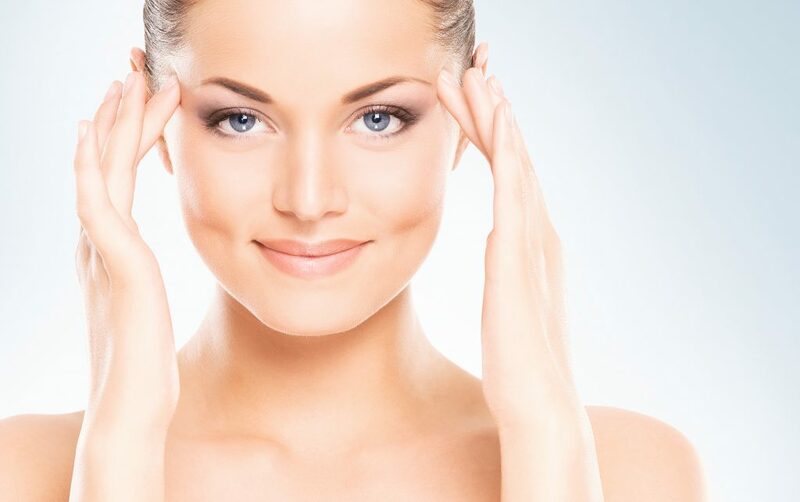 What is a Radiesse Procedure Like? The first step in a Radiesse procedure is your consultation. There, our medical provider will inform you of where the injections will go and what the dosage will be. They’ll inform you of any risks and prepare you for the treatment. As with any procedure involving a needle, you may feel some discomfort or slight pain. But this 30-minute treatment is so quick and simple that you can head back work, home, or school after your appointment. Radiesse is made of gel microspheres consisting of calcium hydroxyapatite (CaHa). This is what instantly plumps and volumizes your skin upon injection. But more than that, Radiesse helps your body create its own collagen. CaHa is made up of substances that your body produces naturally. Over time, the CaHa interacts with your naturally-occurring collagen and stimulates production. Through this process, your body learns and you produce more collagen. And with more collagen, wrinkles don’t develop so quickly. Because your skin is being plumped by a physical gel, results will be visible immediately following the procedure. These results will be even more noticeable after 1 week. One of the top selling features of Radiesse is the fact that it helps your body produce its own collagen. For that reason, the results are long-lasting. Some people have noticed their results for over 2 years. Radiesse is compatible with your body’s tissue. Meaning, your body won’t reject it. It’s also safe, nontoxic, and hypoallergenic. But it’s important to avoid blood thinning medications as well as alcohol while you’re healing from a Radiesse treatment. In addition, there are potential side effects to Radiesse. The most common side effects are swelling, pain, redness, bruising, and itching. These are common to most cosmetic procedures involving an injection. Although rare, unintentionally Radiesse can get into a blood vessel and cause an occlusion. This can cause severe side effects. In some cases, side effects are severe. When Radiesse is injected correctly, the potential for side effects is greatly reduced. Make sure that your injections are performed by a trained, experienced, professional. The cost of a Radiesse treatment falls between $700 and $800 for each syringe used in the treatment. However, costs are specific to individual needs. Costs vary with the number of injections required as well as the dosage per injection. During your consultation, our provider can estimate how much you’ll be spending prior to your treatment. Official vendors. Your provider should be an official vendor of Radiesse. If they aren’t, they could be giving you contaminated, expired, and dangerous injections. Generally, you can find out whether a physician is licensed online. Insurance. Radiesse is not covered by insurance. Radiesse Pricing. Price isn’t everything. Traveling outside the city to save some cost is one thing, but when the price is too-good-to-be-true, it probably is. Some facilities will dilute their dosages or buy less expensive filler from unauthorized suppliers. This puts your safety at risk. Our skin changes as we age and there’s no avoiding the visible signs of aging. But that doesn’t mean we can’t reverse them or better yet prevent them with a little help. Contact us to find out more if Radiesse treatments are right for you.